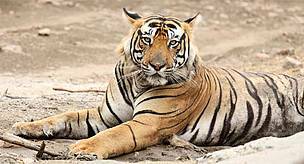 Large-scale habitat destruction and decimation of prey populations are the major long-term threats to the existence of the dwindling tiger population in the country. Less than a hundred years ago, tigers prowled all across India and the sub-continent. 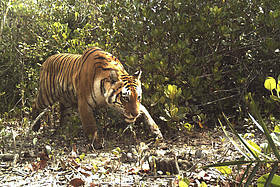 But growing human populations, particularly since the 1940s, have contracted and fragmented the tiger’s former range. Although extensive habitat is available in some landscapes, agriculture, clearing of forests for development – especially road networks, hydel projects are forcing tigers into small and scattered islands of remaining habitat. Tigers need large territories. And along with habitat, tigers have also suffered a severe loss of natural prey populations – in particular ungulates such as deer and antelopes. For over thousand years, tigers have been hunted as status symbol, decorative item such as wall and floor covering, as souvenirs and curios, and for use in traditional Asian medicines. Hunting for sport probably caused the greatest decline in tiger populations until the 1930s. In the early 1990s, trade in tiger bone for traditional Asian medicines threatened to drive tigers to extinction in the wild. Poaching is the largest immediate threat to the remaining tiger population. As tigers continue to lose their habitat and prey species, they are increasingly coming into conflict with humans as they attack domestic animals – and sometimes people. In retaliation, tigers are often killed by angry villagers. Join us in Lights4Stripes, our crowdfunding project to install solar lighting along the forest edge to stop tigers from entering villages in the Sundarbans.